← Exchange 2013 modern public folder limitations – what next? Some of you have been kind enough to ask what sessions I will be attending at the Microsoft Exchange Conference (MEC). I assume this is because you don’t want to bump into me, which is totally understandable. With up to nine sessions to select for an individual time-slot, there’s usually a good selection of sessions available to cater for different interests. Before I list the sessions I plan to attend I should say that I consider the selection to be highly specific to my own needs and interests. In other words, I won’t go to sessions that I don’t think will be valuable to me. There are many reasons why this might be so, including a clash where I have had to select one from several good sessions. Or where I think I have sufficient information for the topic being presented in one session and decide to go to another because I know less about that subject and should therefore learn more (no not!). The point is that you should analyze the session list and decide on the sessions you want to attend based on your own skills and experience and the need for knowledge to assist with whatever your company is doing with Exchange, Office 365, or Lync. The MEC keynote at 8:30am will no doubt deliver a mixture of pumped-up enthusiasm from the product group as they outline what they’re working on and the direction they plan to take. Not much hard information will be gleaned here but it’s a useful start to the conference that allows you to assess what might be important and where Microsoft might be placing some big bets. 10:30am Introducing “Oslo,” the Office Graph, and the Future of Enterprise Social: I’ve already commented on enterprise social networking in this blog and have a real interest in the topic because I’ve been dabbling with it for 25 years. Microsoft made a big thing of the “Oslo” application and the Office Graph at SPC14, the recent SharePoint Conference, and I plan to listen to what they have to say about it here. 1:15pm: Collaboration with Site Mailboxes: Exchange and SharePoint together: I might be in the 0.05% of the user community who actually use site mailboxes and think that I have a reasonable understanding of how everything hangs together between Exchange 2013, SharePoint 2013, and Outlook 2013 (and some of the problems that exist). The process of configuring on-premises Exchange and SharePoint to make site mailboxes work is horrible and I’d like to see changes here (obviously, things are much easier when you use site mailboxes in Office 365). Hopefully I’ll hear about that and how Microsoft plans to make site mailboxes really useful in this session. 2:45pm Exchange Server 2013 Tips & Tricks: This session is presented by Scott Schnoll, who clocks more mileage in the back of long-haul jets than I care to think about in his voyages around the world to every Microsoft-related conference he can reach. Scott is bound to have picked up some new stories on his odyssey, so I plan to drop in to hear what he has to say. I also see that 2:45pm brings another attempt to convince people that backups might be less required now than in the past with “To Backup or Not to Backup” featuring the avuncular Tim McMichael. Using Native Exchange Protection (the DAG, etc.) is certainly a way to run without backups, but unfortunately we live in a world where applications don’t often dictate backup policy, especially inside large arguments. Perhaps Tim will have new and compelling arguments. Paul Robichaux is up against it in the same time slot when he enthuses about “Exchange Unified Messaging Deep Dive.” There’s no doubt that more people than ever before are interested in Unified Messaging, especially in the connection between Exchange and Lync, and Paul is the right guy to listen to if you need help to understand how the different parts interlink. He might even have some copies of his “Exchange 2013 Inside Out: Connectivity, Clients, and UM” book to give away. As if anyone needs to be bribed to hear Paul speak! 4:30pm Experts Unplugged: Exchange Top Issues – What are they and does anyone care or listen? I’m chairing this session. It brings together some of the folks who do sterling work to resolve support issues that reach the development group (such as the recent problems with modern public folders). This group really have their fingers on the pulse of the product and understand the pain points that customers encounter during real-life deployments. This group has also driven the development of some wonderful tools that have made a very real difference to the way we work with Exchange, like the famous Remote Connectivity Analyzer. This is a question and answer session, so it should be a great opportunity for people to come along and contribute by sharing issues that they consider important for Microsoft to address. At the same time, MVP Siegfried Jagott and Microsoft product manager Kanika Ramji will tackle the “interesting” topic of modern public folders when they talk about “Modern Public Folders migration and Office 365.” I hope that Kanika has some answers to share about the limitations in modern public folders that now pose a very real problem for companies that want to complete their migration to Exchange 2013 but cannot because they are unable to move their old-style public folder hierarchy, folders, and data to the new implementation. There might be some sparks at this session and I’m actually sorry that I will have to miss it. The MEC attendee party takes place between 6 pm and 9 pm in Rainey Street, which is apparently a nighttime hot spot in Austin. Some insight on what happens in Austin is available here. Those presenting on Tuesday will hope that attendees won’t imbibe too heavily before turning up for their sessions. Farts and belches do carry in packed session rooms, or so I am informed. 9am Engineers vs Mechanics – the evolving role of IT with Office 365: The advent of the cloud and the impact of services like Office 365 mean that those working in IT have to consider what role they will play as the new landscape gradually unfolds. For some it will be easy – they will stay working with on-premises applications for as long as they can and accept that this work will decline as a percentage of the overall market. Others will embrace the change and either run pure cloud or hybrid environments. Skills and knowledge change depending on the choice that you make. This session is intended to discuss some of the issues. It should be interesting. 10:45am: Future look at Data Loss Prevention (DLP): I’ve written a fair amount about DLP recently (an overview and an article on its document fingerprinting feature) so I am interested in finding out what Microsoft plans in this area. But I have a conflict at this time because “The Latest on High Availability and Site Resilience” session is on at the same time. I might have to toss a coin on the day as this topic lies at the core of Exchange (both on-premises and cloud). The probability is that I’ll end up here. If you’re an Office 365 customer and don’t have to get your hands dirty with all the details of server setup, DAG management, and so on, this time slot might be better used by attending the “Field Notes – Supporting Office 365 customers.” Cynics might say that this session will simply cover the techniques used by front-line support staff to close calls fast but I think it has the potential to be interesting, if only to understand Microsoft’s support methodology for Office 365 a little better. 1:30pm Exchange Storage for Insiders: Microsoft has been on a crusade to reduce I/O since Exchange 2003 and has made great progress in that time. These kind of sessions are unique to MEC because they allow you to hear detail that you probably won’t get elsewhere (which is why I like MEC rather than TechEd). The “Everything an IT Pro needs to know about Apps for Outlook or Exchange” session at the same time might appeal to those who wonder how the new app model can deliver business benefits – or justify an upgrade to Outlook 2013. Attractive as this topic might be, I think I’ll be staying with storage. The same slot has been allocated to Jeff Mealiffe, who will discuss “Exchange 2013 Sizing Scenarios.” Jeff is Mr Performance and Sizing when it comes to Exchange and he also recently lifted his head above the parapet to deflect some inbound arrows from the supporters of NFS when he helped me understand why the Exchange product group continues not to support NFS storage for Exchange deployments. Perhaps the NFS vendors plan to hold a demonstration outside Jeff’s session. More positively, I hope that the two sides will find a way to work together for mutual benefit. And proving that it is sometimes really difficult to decide what sessions to attend, I am severely tempted by “Introducing the Clutter View in Outlook Web App.” The description of the session “investments… to help users manage their inboxes more efficiently” might make you think that this is going to be a marketing-type session to trumpet the many ways that OWA enables careful users to exercise pedantic control over their inboxes. But knowing one of the presenters (Jim Edelen) and some of the work he has been doing over the years, I think this might be a hidden gem of a session. Of course, I could be wrong, as has been known in the past. 3pm: Behind the curtain: How we run Exchange Online: I think I have a fair grasp of how Microsoft runs the service but it’s always interesting to hear how they present the details, especially to a technical audience. Exchange Online is the largest Exchange deployment in the world but it’s a very special environment. Despite the undoubted charm of the speaker (Vivek Sharma), you should understand that and take any recommendations or tips with a pinch of salt because they might be useful in your situation. That being said, what’s not to like about listening to how Microsoft plans, deploys, and operates an environment like Office 365? I might miss the Exchange Online show and go to the Experts Unplugged: High Availability and Storage session instead, if only to see how the developers explain some of Exchange’s HA mysteries in words of one syllable or less. And to hear HA luminaries such as Grieg Thiel, Abram Jackson and Matt Gossage too, of course. My selection for the 3pm Tuesday slot might also be influenced by the fact that Greg Taylor is talking at the same time, covering the topic of “Publishing Exchange – which TLA should you choose?” Greg is always good value at conferences and has been known to wax lyrical about topics as diverse as the alimentary canal arrangements for pachyderms compared to Exchange protocol processing, but I think he’s going to lose out to the other sessions here. 4:45pm: Make Role Based Access Control (RBAC) work for you: Bhargav Shukla speaks about his second most favorite topic (load balancing of all of Exchange’s protocols is his #1). He usually makes a lot of sense and is a pretty pragmatic individual, so this session on a generally badly understood part of Exchange should be valuable. The same time slot sees Jeff Mealiffe take to the stage again to discuss “Exchange 2013 Virtualization Best Practice.” This is a topic that stirs strong feelings on the part of the NFS community, who feel that the Exchange product group has constructed some artificial arguments to stop customers using NFS-based storage with Exchange 2007, 2010, and 2013. As I attempted to set out last month, there are good points on both sides. Perhaps Jeff will have a more than usually proactive audience at this session! The usual “MAPI Hour” takes place between 6 pm and 7 pm. 8:30am Retention Policies in the real world: I have spoken at every MEC event since the first in 1996 and this is my formal session. I’ll cover how MRM V2 differs from managed folders, the role of the Managed Folder Assistant, retention policies and the various tags that are used, how to design and implement policies, and tell a fair number of stories, not all of which will be relevant. To ease the pain (or cause more), I’ll bring along a few copies of my Exchange 2013 Inside Out: Mailbox and High Availability book (which covers retention policies in fair detail) and give them away to attendees. 10:15am: Exchange Design Concepts and Best Practice: Best practice is such an ethereal concept because it changes so quickly. The notions of what is best to do evolves with understanding, experience, and knowledge and it is challenging to set down what best practice is at any time. Boris Lokhvitsky, who’s been around Exchange long enough to have forgotten more best practice than others have encountered, is due to deliver this session. 10:15am also sees the attempt by MVP Jeff Guillet to corral the talents of Ross Smith IV, Scott Schnoll, Greg Taylor, Brian Day, and Jeff Mealiffe in “Experts Unplugged: Exchange Deployment.” It seems strange to me that the chair of this session is the only person who is paid for helping customers deploy Exchange. All the others are members of the product group and, as such, have a particular view of how Exchange should be deployed that might just be compromised by the slings and arrows of outrageous reality. I would have preferred to see a more balanced set of views represented on this panel. It certainly seems to be overly biased towards the product group view of the world as it stands. Perhaps Microsoft will rebalance the panel membership at MEC. The “Experts Unplugged: OWA and Mobility” session on at the same time is something that anyone interested in supporting mobile devices with Exchange should consider. Microsoft shipped their OWA for Devices app (for iOS) last July to demonstrate how they could leverage OWA’s new “morphing” user interface introduced in Exchange 2013. I don’t know if Microsoft will announce OWA for Android at MEC, but I suspect that something of this nature will happen. And if it doesn’t (or even if it does), then this sounds like a good place to ask questions about the plans that Microsoft has to support mobile devices with OWA (rather than ActiveSync). And speaking of mobility, one of the reasons why Microsoft has introduced the new MAPI over HTTP protocol is that the existing RPC layer is not particularly brilliant at coping with the stresses and strains of on-off network connectivity as you might experience when hopping across different wireless networks. The “Outlook Connectivity: Current and Future” session (also at 10:15am) should explain why the change is happening and what you need to do to plan for it in terms of network changes and client deployments. 1pm: Experts Unplugged: Data Loss Prevention: I might use this session to resolve my clash from Tuesday. It will be a different side of DLP but that’s OK because a discussion of real-life experience with a technology is as valuable as hearing about product futures (not all of which will come to pass). 2:45pm: Experts Unplugged: Architecture – Management and Monitoring: Managed Availability exerts a pervasive influence over all components in Exchange 2013. It’s a subsystem developed for cloud services that delivers great value to on-premises deployments, assuming that you understand what Managed Availability is all about and it doesn’t go wrong. Part of the problem is that Managed Availability badly needs a more approachable user interface (IMHO). I’ll be along to this session to listen to how people are coping with Managed Availability and the other ways that Exchange monitors itself. Another interesting 2:45pm session is Neil Johnson’s “Exchange Network Client Bandwidth Calculator V2.” Understanding just how much bandwidth clients are likely to consume on a network is always difficult because of the very salient fact that it all depends on what the user does. And who knows what users do? In any case, I hear that Neil might have some data to report about the new MAPI-over-HTTP protocol and how it compares to its RPC-based predecessor. This should be a great session for those who have to worry about bandwidth. 4:45pm: Experts Unplugged: Exchange Top Issues – What are they and does anyone care or listen? This is a repeat of Monday’s 4:30pm session with the caveat that by now people should have accumulated even more concerns and problems that they want to discuss in the area of support. It could get ugly! I should also mention that my friends from the UC Architects are taping a live session at 4:45pm on Wednesday and therefore clash with my last session. This is a good bunch of technologists who get together to create a biweekly podcast covering topics of interest to the Exchange, Lync, and Office 365 community. I do not know who the line-up of guests will be for this show, but if it’s half as good as the session we taped at the 2013 Exchange Connections event last October, it should be worthwhile. Speaking of which, the 2014 Exchange Connections event will take place in the Aria Hotel in Las Vegas (a much better and more modern location than the Mandalay Bay, where Connections has been run for what seems like the last century). Potential speakers are currently submitting proposals for sessions they’d like to present at this year’s event (September 15-19). Please submit a proposal if you have an idea that you’d like to present, or just let me know (post a reply here) if you have a topic that you’d like to hear about at Connections. No technology conference worth its name lacks an exhibition space where vendors do their best to convince attendees of the wonders of their technology. MEC is no different and has attracted a good line-up of companies working with Exchange, Lync, Office 365, and SharePoint. I plan to spend some time with vendors to catch up with what they’ve been doing recently and to understand their pain points, such as how they’re coping with the influence of the cloud. So there you have it. Tony’s current MEC schedule, or at least the sessions that I hope to attend. Have fun building your own schedule to reflect your own needs and interests. There’s a lot to choose from. MEC being what it is, I can only guarantee that I will get to the sessions that I am chairing or presenting. Too much other stuff happens at MEC that might interfere with my ability to get to a session, like interesting conversations with Microsoft people or third-party software vendors. I can always catch up with technology after MEC but it’s difficult to replicate those conversations, so they take priority. 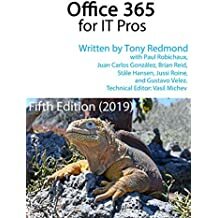 This entry was posted in Email, Exchange, Exchange 2013, Office 365, Outlook and tagged Data Loss Prevention, DLP, Exchange 2013, Exchange Online, Managed Availability, MEC 2014, Microsoft Exchange Conference, Office 365, Outlook 2013, retention policies, SharePoint 2013. Bookmark the permalink. “Farts and belches do carry in packed session rooms, or so I am informed”…articulate and insightful. Some of your best prose yet! Yes…I still keep up with things from time to time. Pingback: MEC 2014 Here We Come!